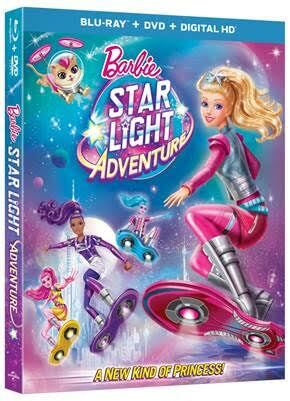 Enter to win a copy of Barbie Star Light Adventure on DVD/Blu-ray! 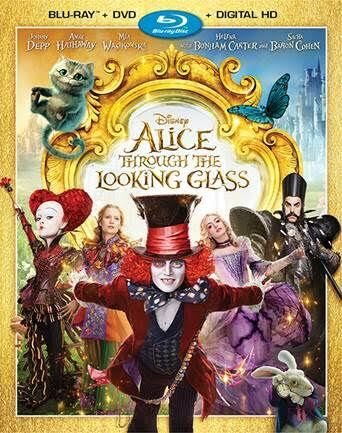 SYNOPSIS: Barbie™ and her devoted pet sidekick, Pupcorn, fly high on fun hoverboarding adventures across a beautiful, far-off planet. One day, everything changes when the twinkling galaxy stars start to dim and slow their dance in the sky. Although nervous about leaving her home, Barbie™ travels to Capital Planet to join a special rescue team on a mission to save the stars. Once there, she meets galactic hoverboard champion Sal-lee and a team of talented new friends. Barbie™ soon discovers that if she listens to her heart, and with the help of her friends, she might be the leader the whole universe has been waiting for! ← Enroll This Week and Save 60% Off Your First Month + No Membership Fee at My Gym in Bel Air!